My day to serve treats at Bible study this morning. They were ready to serve in less than 30 minutes. I actually think I rolled them the wrong way, but they still tasted the same. Yum! Preheat oven to 375 degrees. Stir together first 3 ingredients. 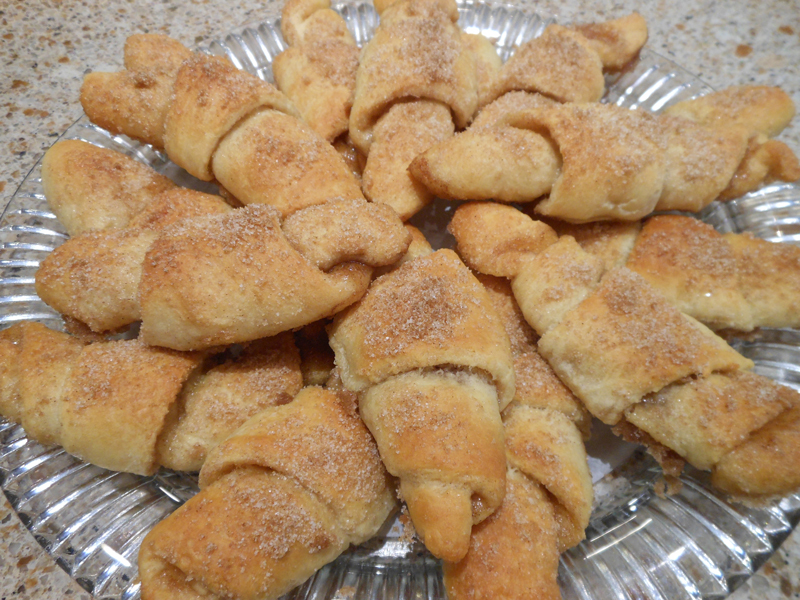 Unroll crescent roll dough onto a parchment paper-lined work surface. Separate dough into triangles. Brush with melted butter, and sprinkle evenly with sugar mixture. Roll up each triangle, starting with shortest side; place on a parchment paper-lined baking sheet. Bake for 10 to 12 minutes or until golden brown. Cool 1 minute on pan; remove to a wire rack to cool.